Car owners in Sydney just love Mobile Tyre Shop. When it comes to needing new, safe tyres, who wants to drive in busy Sydney traffic to go and wait while you have your tyres replaced. With Mobile Tyre Shop, just call and we’ll come to you at work, home, just about anywhere. As a disruptor to the traditional tyre store, Mobile Tyre Shop was first seen in Sydney on Network Ten’s Shark Tank. Back then Travis Osborne the founder, was looking to get exposure (and investors) for his small business idea that he had been trialling for many years. Once aired on TV, the overwhelming interest in the business lead to investment and expansion to Sydney and around Australia. Today, Mobile Tyre Shop has bright yellow and white vans servicing all areas of Sydney including the North Shore, Great Western Sydney, North Sydney, the Northern Beaches, Sutherland Shire, Inner West and Eastern Sydney. So now you don’t have to waste time getting your tyres changed…let us fight the traffic to come to you! If you’re not sure what you need, give our Tyre Specialists a call on 1300 687 000 and let them advise you. We have all the top brands so you can be sure you’ll get unbiased advice on best suits your car, driving style and budget. If you want the same tyres as when you bought the car new, no problem…we’ll usually have them too! Best of all, you won’t pay more than you would from the traditional tyre store. 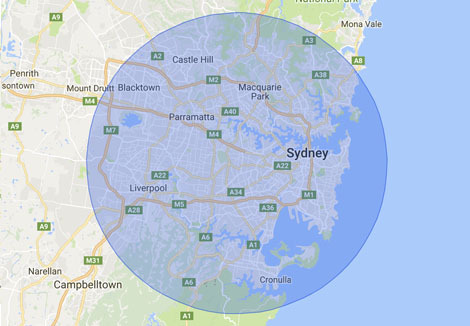 So wherever you live in Sydney, whether you’re in Penrith, Miranda, Parramatta, Ryde, Newport or Surry Hills, give us a call and let us show you how easy it is now to replace and balance your tyres. Sydney, North Shore, Great Western Sydney, North Sydney, Northern Beaches, Sutherland Shire, Inner West, Eastern Sydney.